One Off may not be what I consider Junichi Sato’s best work, but it certainly might make you feel better and slightly motivated by the time you finish. There is also some product placement for Honda nestled inside, but you don’t have to focus on that if you don’t want to. When it comes to motivational (healing) and uplifting series with the slice-of-life genre used, Junichi Sato is one that I consider to have no peer. Satisfied by a majority of his productions that touch upon the power of dreams and reaching for the stars, One Off takes these ideas into a different direction by not only dreaming big, but taking the steps to overcome physical obstacles as the pessimism and mental talk we inflict upon yourselves as an excuse. 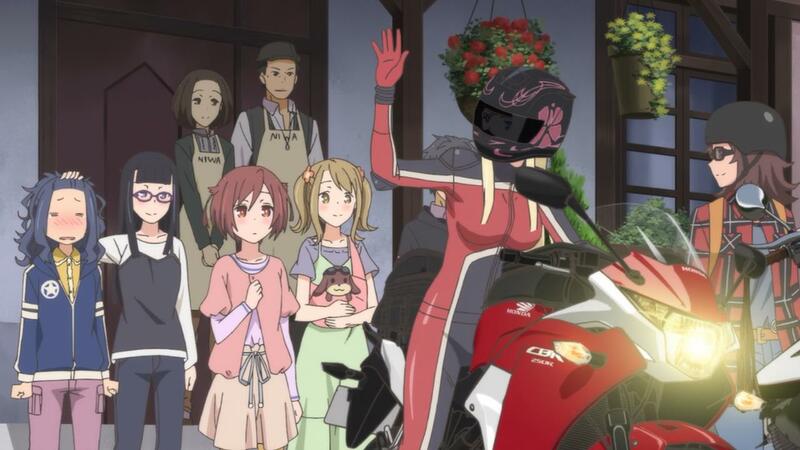 This story comes in the form of a young girl named Haruno Shiozaki who lives life in an idyllic town with her friends riding their Honda motorcycles. Haruno is a dreamer, but often lets negative attitude prevent her doing what she’s desires, until she meets an Australian cyclist named Cynthia B. Rogers, that eventually changes her outlook on life. Short, sweet, and to the point, One Off was definitely slightly enjoyable than I thought it would be and for a few choice reasons. 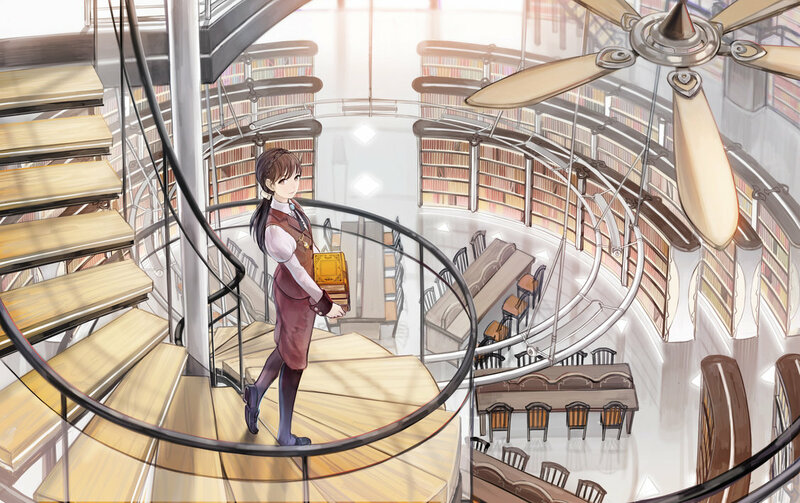 As expected of any Sato’s productions like Tamayura or Sketchbook ~full color’s~, One Off carries the same inviting and cheerful atmosphere that makes the 4 episode OVA easy and enjoyable to watch. And while most the playful nature of the show is perfectly balanced up against some of the more inspirational moments for Haruno, they sadly seem to lack any impact that leaves any lasting effect. 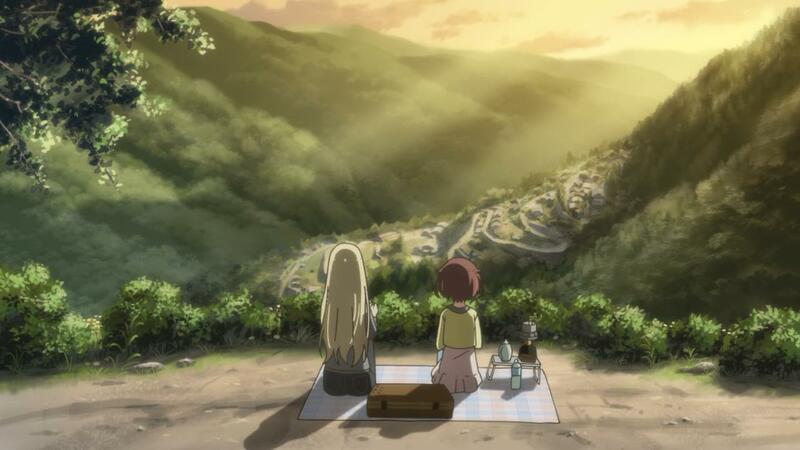 If anything, it is Cynthia’s plain and simple talks with Haruno that are the real broadening than the experiences that are under taken and helps make the show thoughtful as well. 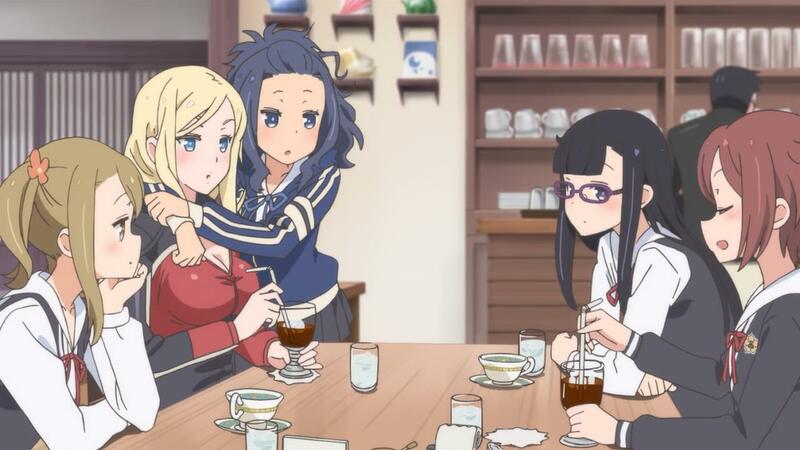 I do find quite humorous that while Haruno is always daydreaming, her character is the one that always sees the “glass half empty”, but this fact just makes Cynthia an even better foil character. It is difficult to say that their anything beyond that, but certainly as a small budget project, One Off does what it aims to do and quite well, despite a few minor weakness that plague it. Between all 4 OVA episodes, as aforementioned, One Off definitely feels like it could have done so much more. The fact that the show seems to overextended itself over the 4 OVA’s differently does seem like their was little planning done past the first two episodes to make it end smoothly, but does not exactly hinder the series in any way that makes it feel like a waste of time or less than whole. 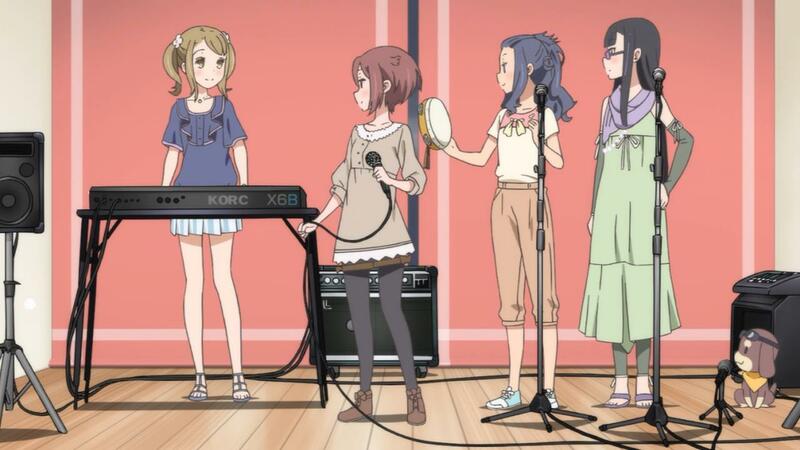 It also would have been more enjoyable if it Incorporated the rest of the cast of into the mix as well, but merely just comes down to them supporting or looking over Haruno’s guidance by Cynthia. Either way, Sato did an okay job with directing and writing the scenario, but it just seems to short-lived for 4 episodes. Regardless of what of could have been done to improve it by a slight or great margin, the rest of One Off come in around average. Animation is one of these factors that is handled by TYO Animations and for a budgeted project, way more detailed than expected. Just like its Tamayura (also animated by the same company) much of the designs and artwork, will be reminiscent only to a feature a more vibrant and solid aesthetic style compared to the formers more subdued and lighter scheme. I would be remiss if I did not mention Honda’s hand in all this with providing much of the animation’s core funding in exchange for the leverage of a few cameos and appearance. 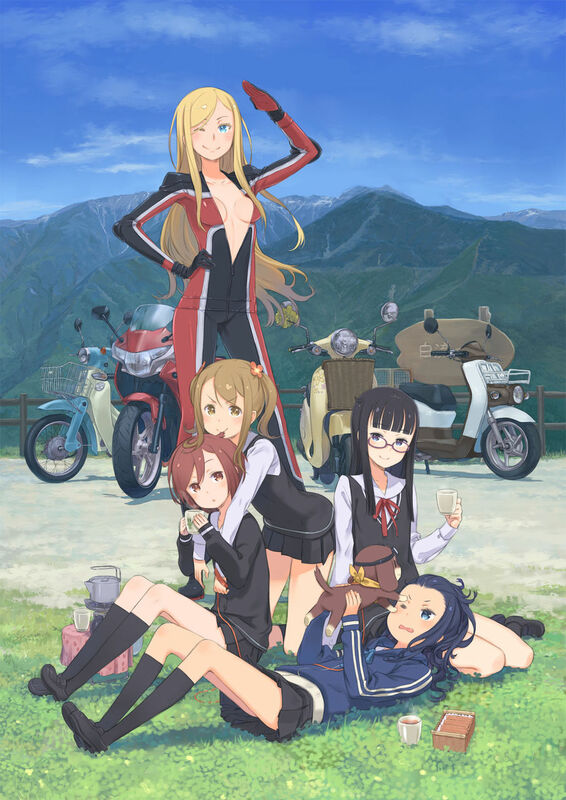 This is mostly shown through the cycles and mopeds the girls ride, but the homage to Honda gets so ridiculously absurd, it seems like the only reason that this was produced in the manner it was for the benefit of the promotion rather than an original production. Yet, the viewer can be the judge on that front and probably will forget about, much less pay it any heed. To conclude, One Off may not be an exceptional “Junichi Sato Production”, but is nice in spite of the many shortcomings that exist. If you are a slice-of-life devotee or fan of Sato’s work, I can say that One Off is something you might to want to watch, but you will not be missing out on much by the same token. It was a nice little treat considering it’s only four episodes long. I have to agree that the first two episodes left more of an impact than the second two which seemed like they were just tacked on after the real ending. I don’t think the length had a negative effect on the content though. In fact, I would be happy if more shows cut down on the number of episodes if it helped to focus the story a bit more. If this was twelve episodes long, I would probably have trouble recommending it, but because it can be easily watched in an afternoon, I can’t help but give it a thumbs up. Were you personally bothered by the Honda advertising? I noticed it from time to time, but I never remember it getting in the way of what was going on. If anything, I’d say the bikes made for some decent eye candy. It was, just wish the other two episodes were polished a bit more. Still nice either way. Its not so much of the about the length, more than it how the content was placed within it. I agree that if it was any longer, I probably would not recommended it either, but I felt the content could have been more structured to fit the 4 episodes, since the other two just seem to drag it out. Although again, it was not anything I will be lamenting seriously. Episode length doesn’t matter that much to me. i have reservations about advertising and being a MIS major with some marketing training, it just jumped out at me. I wasn’t personally bothered, but noticed it a whole lot more than the average person would have and slightly made me weary. But it was not that bothersome and actually nice, I just hate the product positioning and how it was done. I can’t say i’ve seen any of Sato’s works before (or if I have I wasn’t aware of it at the time), but I think your point about 4 episodes not being enough to tell a story is a valid one. I’m sure that there are some 4-episode anime that have done very well, but in general I think stories feel rushed when told in such a short time frame. I usually prefer longer anime, at least when they’re story-based (as opposed to comedic); it just gives you more time to become attached to the characters. The series looks beautiful and the fact that its a 4episode OVA makes jt easier to obtain a copy. I’ve watched sketchbook and i found it to be too “slice of life” meaning i found it to be slow -paced, its funny in a sense that it made be smile but not laugh, but sketchbook really is beautiful. I hope One Off will make me feel the same. Yeah, that was probably a bad example, since it is not as slow as Sketchbook, but some of the same themes and principles apply. It might not make you laugh much, but this one is pretty fun to watch without spending that much time. Hope you decide to check it out when you have the time. Reblogged this on It's Kind of an Electronic Book.